A guest favorite, the Syrah room is one of the most popular in the inn and it’s easy to see why. 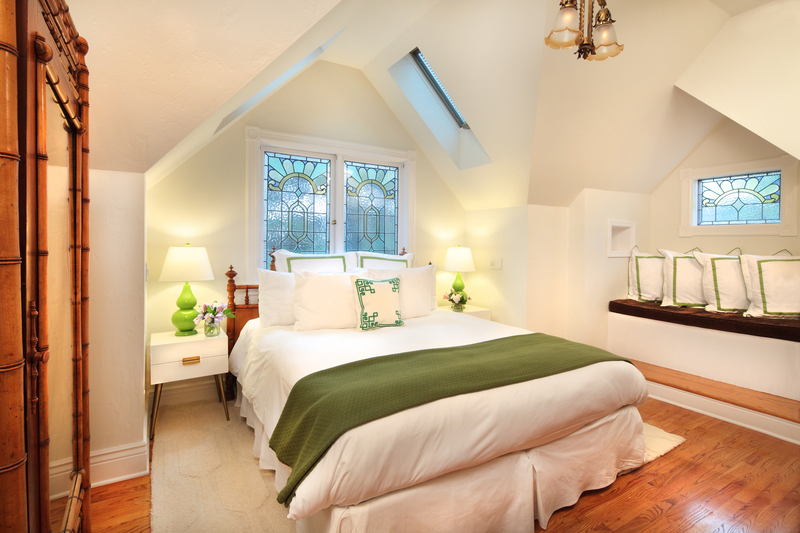 Surrounded by stained glass and nestled atop hardwood floors, the luxurious king bed sits perfectly in the middle under the careful watch of vaulted ceilings. A plush, reading nook rests peacefully in the corner, patiently awaiting the company of a good book or morning newspaper. 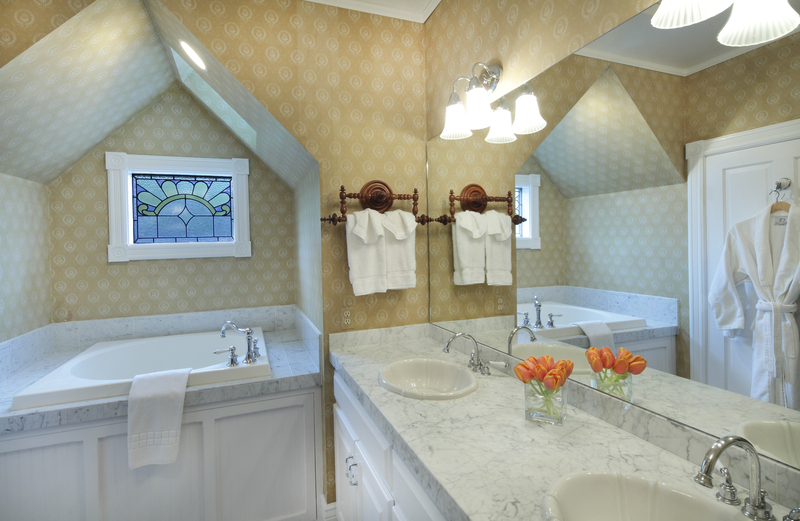 The spacious bathroom features an elongated double vanity, book-ended between a deep, Japanese style soaking tub and large, tiled shower.